Almost to the day in 2011 Anderson Cooper was standing in his wellies in an inch of water in downtown Manhattan as Hurricane Irene ran short of breath. But it was too late. 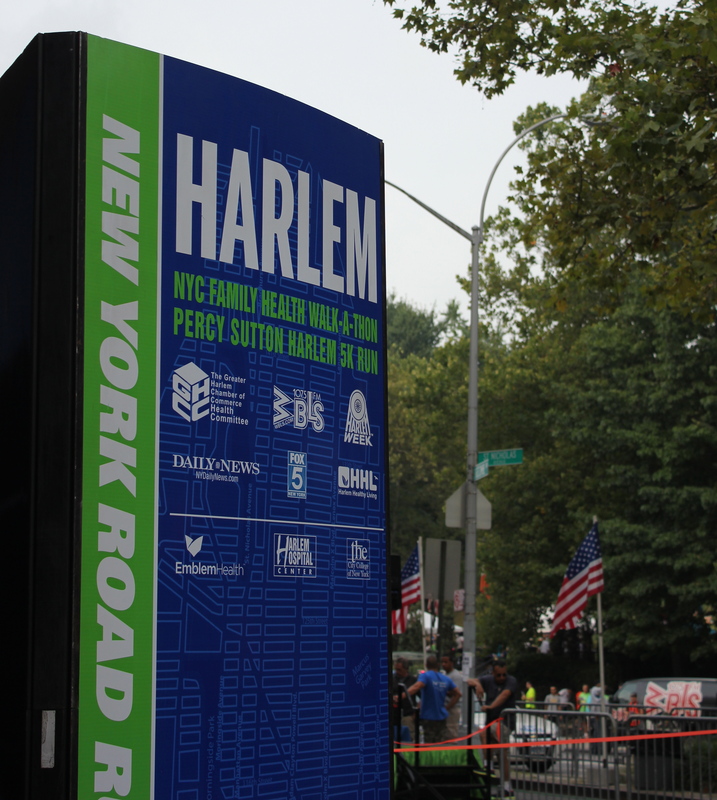 While the hurricane slowed to a storm New York Road Runners (NYRR) had already canned that years Percy Sutton Harlem 5K race for fear we’d all get swept into the Atlantic, bags an’ all. On that occasion NYRR got caught up in a storm of its own making. For those entered it offered to count the race as one of the 9+1 for guaranteed entry to the ING New York City Marathon (NYCM) – but no refunds. Big deal if you were one of the majority like me that had no intention of running the NYCM. Eventually, after a lot of flak, they conceded to offer credit for a future race. Smart move. 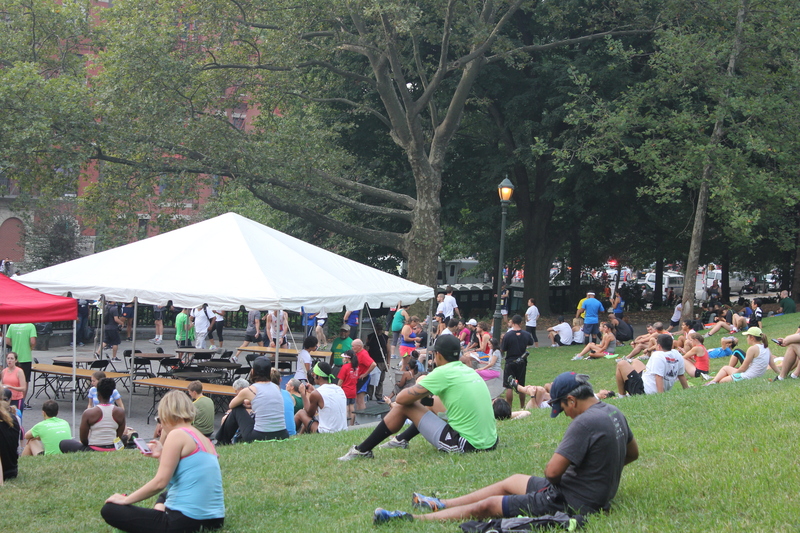 Well this year NYRR are once again caught up in storm of its own making – its no baggage policy. This one is more like a Category 5, having hit the headlines. I wonder if the outcome will be the same: a climbdown. We’ll see. 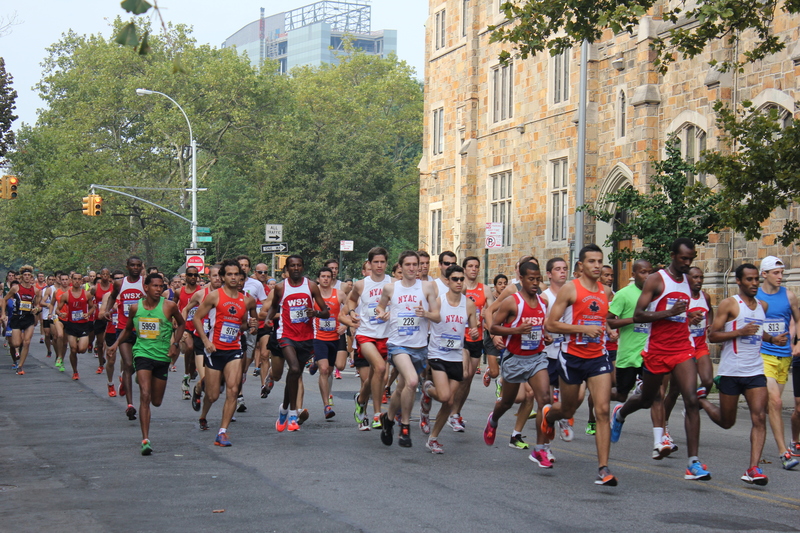 So today was my first actual attempt at the Percy Sutton Harlem 5K Run. It was a nice cha nge to Central Park and offered all the color of Harlem. Standing on the start line there was a long line up of speakers, some passionately pressing their religious views on arguably the world’s most diverse running community, and a musician with some wind instrument who knocked out some great renditions of the African-American National and US National anthems. 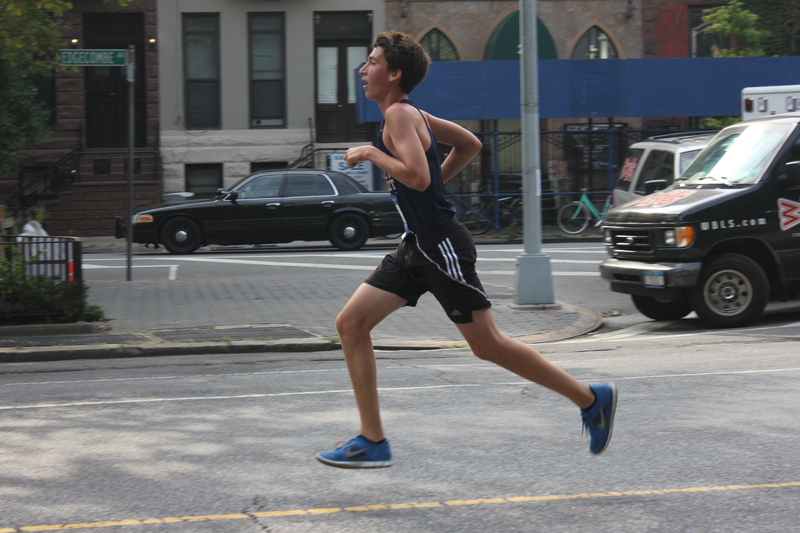 Then we were off on this 5K loop around West Harlem. 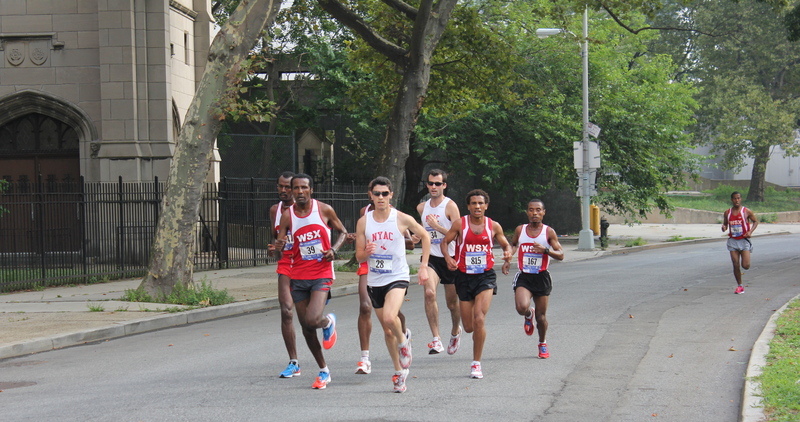 Starting and finishing next to St. Nicholas Park at around 135th-138th Street it heads north for a mile, much of it uphill. 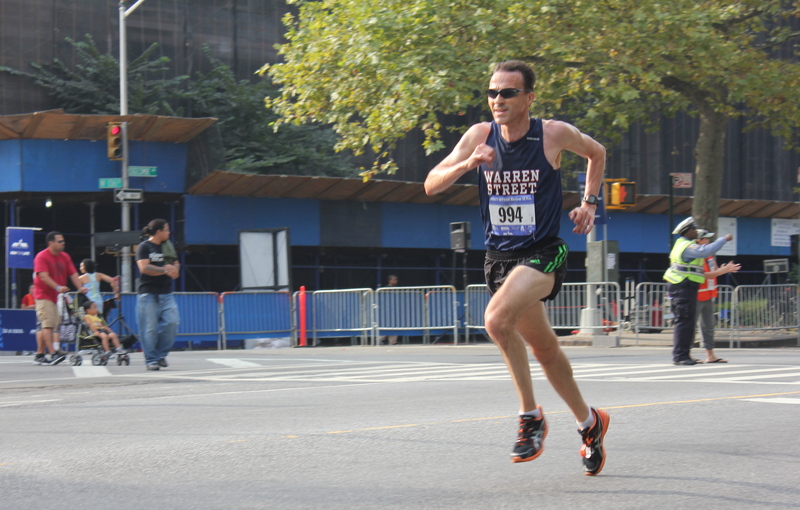 At 155th Street a sharp left hander sets runners on a southerly trajectory. I hit the mile mark here in 5:11, on track for my target of 16 flat. The lead pack at the 2 mile point. The next mile and a quarter is mostly along a gently rolling tree lined avenue flanked by brownstones. I hit mile two in 10:20. Just on track. The final three quarters of a mile includes a steep descent, two 90 degree left handers, and rounds off with a flat straight half mile into the finish. It was one of those finish straights that teases you, the finish gantry looking almost like you can touch it. Except that it’s a lung bursting 2-3 minutes away. At the 3 mile mark, reading 15:30, I thought I had my target in the bag. I didn’t. I lost concentration, slipped off the group I was chasing and the results showed me with 16:02, but with first age grade and first masters as a consolation. 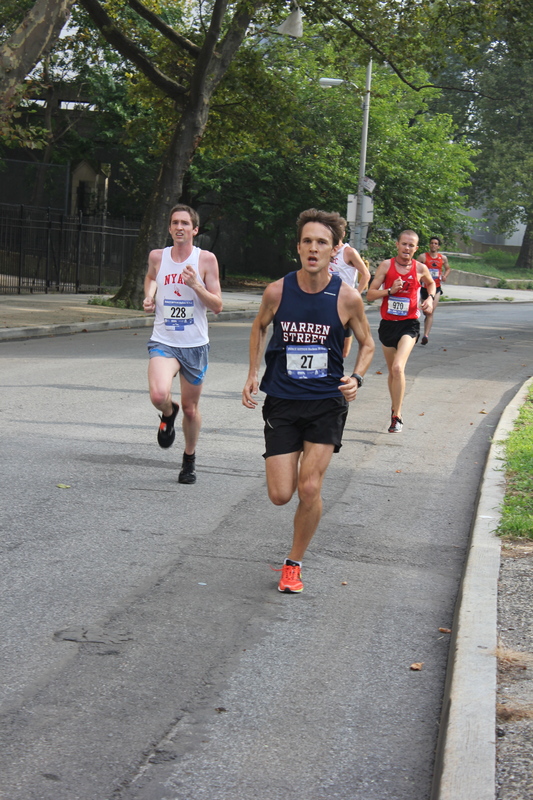 Warren Street’s open men’s team finished 5th, barely 10 seconds a man behind 3rd place. The team was led home by Sebastien B with Charlie Baily, Ryan Korby and Robert Dugger making up the scoring five. Unfortunately our men’s masters team, weakened by summer vacations, slipped to 3rd place but retained 2nd overall for the season. Ryan and Charlie at the 3 mile mark. Runners conserving energy before the start of the race. Others were a lot more energetic. 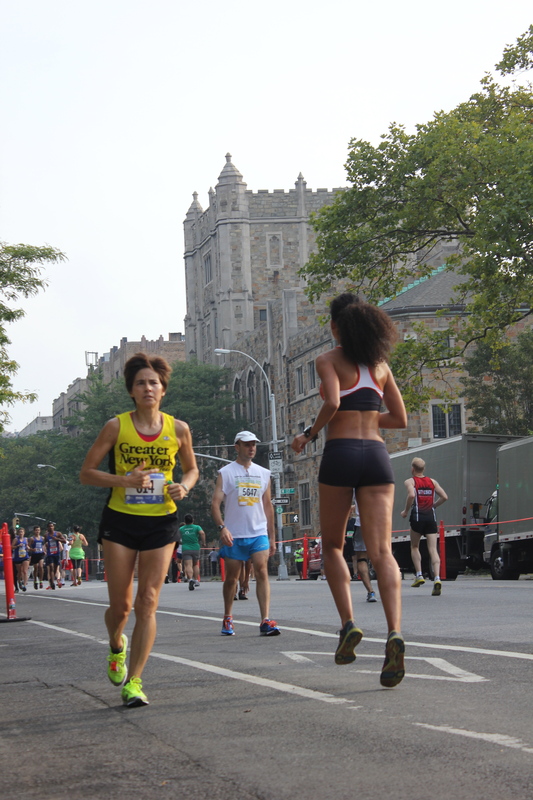 The route took runners past some of Harlem’s churches. 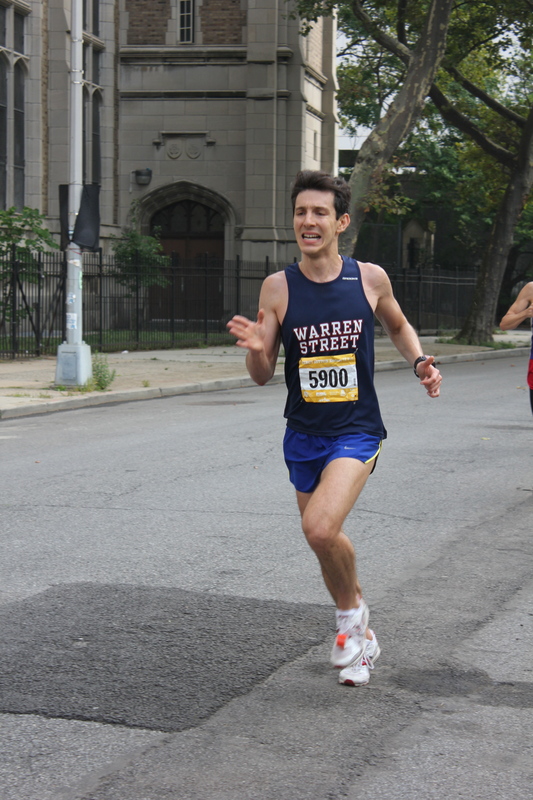 Sebastien B. leading the Warren Street team at the 2 mile point. Fabio Casadio giving it his all. Warren Street’s youngest team member, Nick E.
Mary Wittenberg, NYRR president, gets out on the course to take photos of the runners coming in. 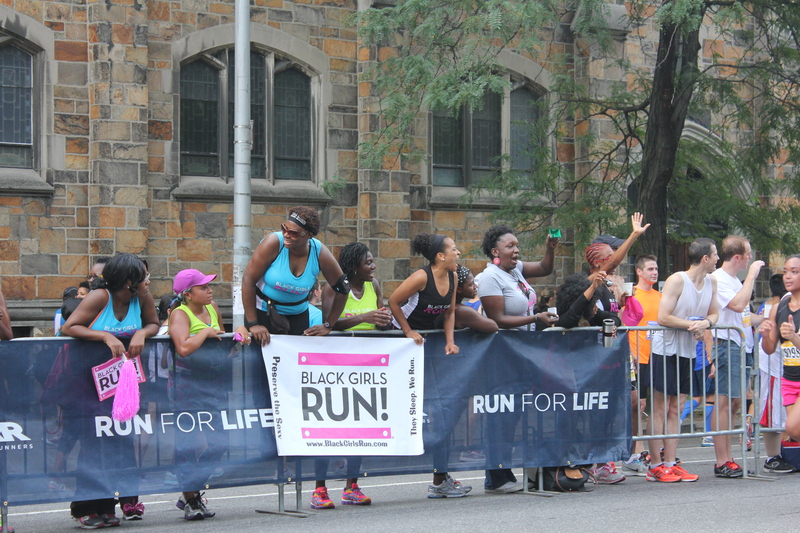 Over a 100 runners from “Black Grils Run” too part. The group’s aim is to fight obesity in the African-American community. 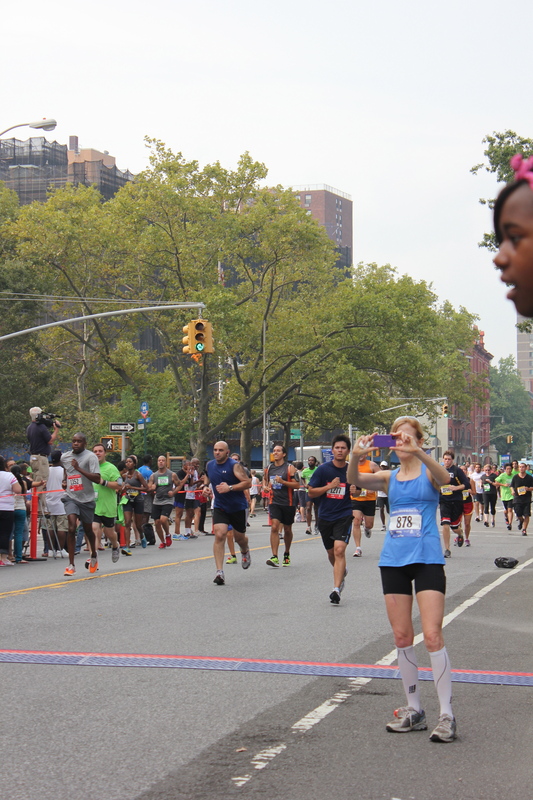 This entry was posted in New York, Races, Running and tagged 5K, harlem, new york, percy sutton, race report. Bookmark the permalink.